Every major studio in the world has Lexicon Reverb, and for a good reason – it is impossible to make a great recording without great reverb. 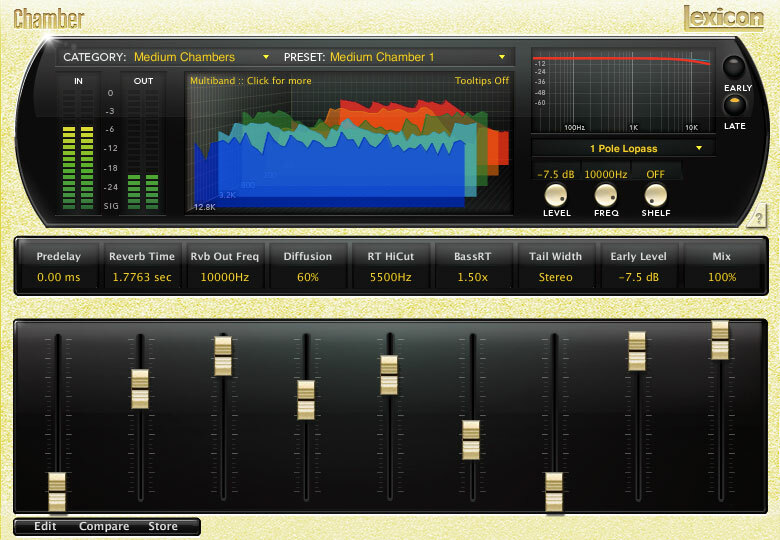 The Chamber Reverb, like all of our software pieces, is built using the same algorithms found in our famous hardware. Using a Lexicon Chamber is like building the perfect echo chamber inside your computer. No permits required. The Chamber plug-in is a great solution when you want a space more noticeable than a room, but smaller and denser than a hall. Chambers work well on a variety of instruments, spanning many genres of music, but are especially effective on vocals. The Lexicon® Chamber algorithm faithfully reproduces the complex ‘miniature-space’ effect sound that is key to any professional studio. The principal characteristics of the Chamber algorithm include rapid high density, the avoidance of noticeable wall slaps and the randomization of the reverberant tails to further the realism. Echo Chambers have been an integral part of the history of recording – from EMI’s Abbey Road to Capitol Studios in Hollywood. Like most natural reverbs, the idea is simple, set up a mic in a room, direct a signal into it and then record that signal with the color of the room in full effect. The obvious issue is, you need to have a fully isolated room with a great sound for the chamber to really shine – that’s why people will still rent specific studios just for their chamber – because it is so hard to find that perfect sound. In every genre, from the 70’s to today, Lexicon’s Chamber Reverb has been everywhere. Our software and hardware has allowed the worlds to producers and home users alike to experience the most precise Chamber Reverb sound ever created. 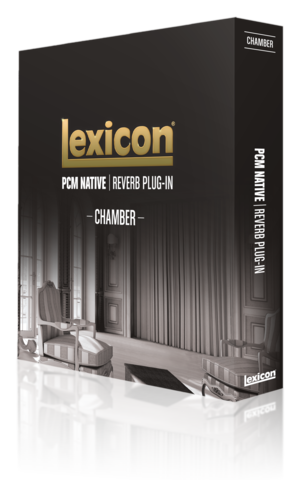 The PCM Native Chamber Reverb is also available as part of the TEC Award nominated PCM Native Reverb Bundle. 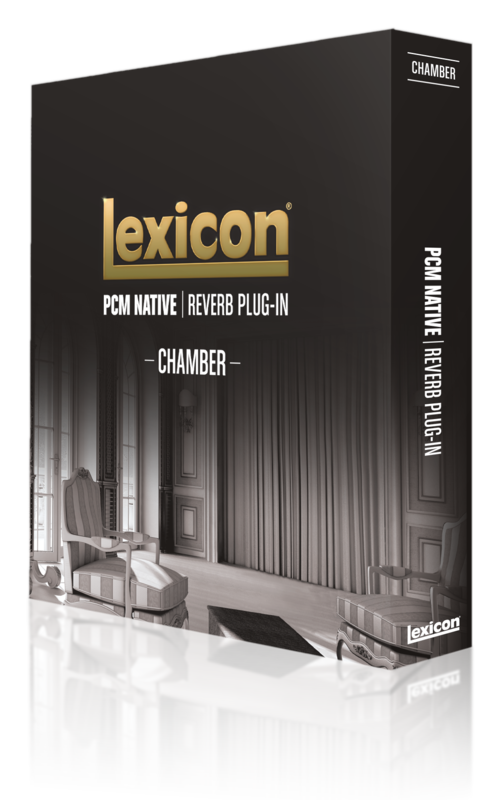 For other variations on Lexicon Chamber Reverb, please look at the PCM and MX hardware series or the MPX, LXP or PCM Native Room Reverb plug-Ins.